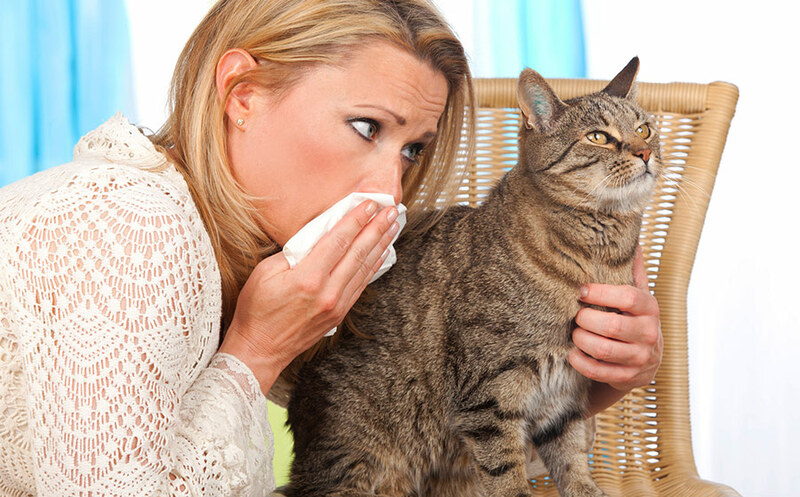 Are You Allergic to Your Furry Family Member? Get Fast Relief With These Indoor Air Quality Tips! Owning a pet cat or dog (or any species of pet) comes with many measurable health benefits. Often, pet owners exhibit lower stress levels, increased physical fitness, better mental health, and more chances to smile daily! According to the Canadian Animal Health Institute (CAHI), Canadians are noticing these benefits and are responding by bringing more pets into their homes. 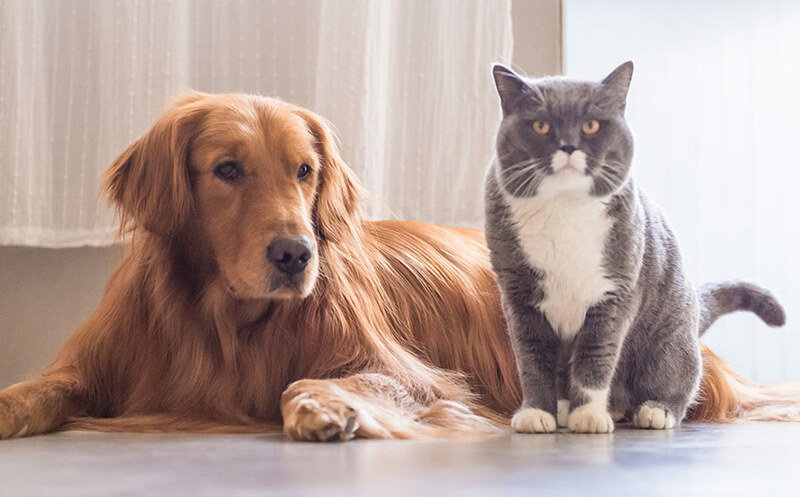 As of the most recent pet ownership survey, 41 percent of all Canadian households report the inclusion of at least one canine family member; 37 percent of households reportedly include at least one feline family member. But even with the many undeniable health benefits of pet ownership, there is also a dark side—allergies. This can be a particularly tricky issue during the fall, when ragweed allergies are also on the rise. How can you enjoy the fall season and the company of your beloved pet without always having to keep a box of tissues handy? These tips will help you find fast relief from pet-related allergies. If your pet has hair or feathers or fur, it also has dander. And dander has proteins called allergens that can produce lots of allergy symptoms. These same proteins also exist in pet saliva and urine, which means that when your dog lovingly licks your face, you may be in for a rough night in the respiratory department. The ultimate goal here is to reduce your exposure to these protein allergens without reducing your exposure to your pet. Each of the tips that follow are designed to help you achieve this. 1. Head for a HEPA filter! HEPA (High Efficiency Particulate Air) is still the gold standard for air filtration today. HEPA filters were first developed during the second World War to protect laboratory workers. Following the war’s end, plenty of other uses have been found for these wonderful air filters. Labs, hospitals, clinics, businesses, and homes all use HEPA filtration systems to clean and filter the indoor air that circulates throughout these spaces. Equip your HVAC and furnace with a HEPA-rated or MERV 16-20 level filter. This will work only if your appliances are rated appropriately to work efficiently with these higher level filters. Add portable HEPA filters to relevant rooms. Bedrooms, living areas, kitchens, and laundry rooms are all great places to add a portable HEPA filter to trap airborne protein allergens. Retrofit your ducted HVAC/furnace system with a HEPA whole home filtration system. This type of system will work with any type of appliance because it filters the air after it leaves the air conditioner or heater but before it enters your duct system. Use a HEPA-equipped vacuum cleaner. This is the best way to remove pet protein allergens from your floors and carpeting. Many homeowners are now becoming more aware of the need to periodically clean and sanitize the system of ducts that carries air from room to room. In many cases, a home may be occupied for several decades with no record that this service has ever been performed! Can you imagine what your lawn would look like if you didn’t mow it for 20 years? Or how about deciding to just skip dusting and vacuuming for the next decade? But since the air ducts are hidden from plain sight, it is really easy to forget they are even there. A professional indoor air duct cleaning will vacuum out every last particle of pet protein allergens as well as other potent pollutants, toxins, debris, and dirt, leaving your indoor air duct system squeaky clean, sanitized, and deodorized. Many of our clients say they can not only feel but also SMELL the difference after having their ductwork cleaned out! While this isn’t typically high on the list of pet lover favorite tips, it is sufficiently useful to alleviate pet-related allergies that Pet WebMD lists it FIRST as a method for reducing the amount of concentrated pet-related allergens you may be exposed to from day to day. The simple truth is that when you let your pet lie on your bed or, worse, sleep with you all night, you are breathing in air that is literally packed full of pet allergens. If you absolutely cannot bear to sleep apart from your pet, you can try using mattress and pillow covers that are anti-allergen to help reduce the concentration of these proteins. Other options include switching from carpeting to wood or tile flooring, keeping your air registers clean, sweeping and vacuuming regularly, brushing your pet frequently (outdoors if possible), washing your pet’s bedding weekly, and giving your pet at least twice-weekly baths. Remember, Your Pets Can Get Allergies Too! In all this talk of pet allergies, it is important to remember that humans may not be the only family members suffering from the misery of fall allergies. Pets can also develop allergies and inflammation as the weather changes seasonally. Common triggers include changing humidity levels, airborne dust and pollen, mould and mildew exposure, and sensitivity to specific seasonal pollens (such as ragweed). The tips here can ease your pet’s discomfort, too. In addition, you may want to consider installing an air purifier, either a whole home version or a portable unit, in your pet’s bed area to snuff out allergens that have hitched a ride into the house on your pet’s fur. Save 20 percent on whole home HEPA filters, UV filtration systems, heat recovery ventilators, and humidifiers. Call us at 905-544-2470 or complete this simple online form to reserve your discount!